As I have aged, I have learned that random mail can be unexpected but also surprising! Sadly as we age the happy surprised are minimized and they are replaced with predictability and routine. Surprises are in less demand as the days pass, but they are nice to recieve. The easiest way to get monthly surprise is when you sign up for a Mini Monthly Mystery Box of Awesome by That Daily Deal.com you are able to get a positive and happy box. Each month, similar to the regular Box of Awesome that is offered, there is no theme is chosen. Instead of theme a random selection of 2 – 3 gender neutral items are included in this white package. This entry was posted in Monthly Subscription Boxes, Reviews and tagged coloring, explore, jigsawpuzzles, Monthly Subscription Boxes, Reviews, stuffed animals, subscription reviews, Technology on April 15, 2017 by Jennifer. When I was a child I was always reminded it was “what was on the inside that counts”. I took this lesson and applied it to friends, boyfriends and really everybody I encounter in my adult life. I believe that a person is defined not by their outer shell but what is in their heart and soul is what is important. I believe this to be true and think that it is a message that is getting lost in this beauty conscious world we are living in. There is more importance on filters, injections and basic photo editing then what somebody thinks or feels. I think that this message needs to be taught at a young level, and while we have all these conveniences of modern photography, I am not sure they should be used to the extent they are outside of professional photography studio. The message of what is on the inside is not as clear as it was when I was growing up. I believe in this message, so when an offer came across my email to review the UglySnuglies, I was looking forward to learning more about them. 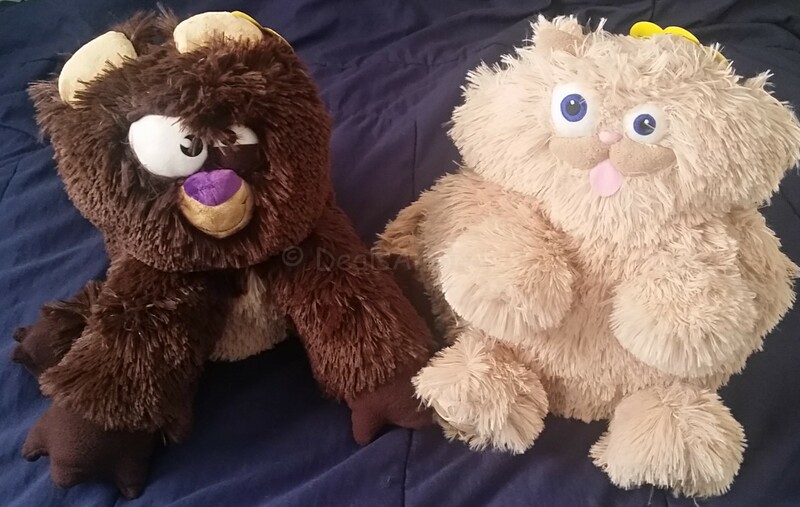 UglySnuglies are unique stuffed animals that teach the lesson that “it is what is on the inside that is important”. This entry was posted in Giveaways, Reviews and tagged flashlights, holiday 2015 gift ideas, kids, product review, storage, stuffed animals, toys on December 1, 2015 by Jennifer.